Many people with spider veins hesitate to wear shorts or skirts because of the cosmetic appearance of the condition. However, a 30- to 45-minute procedure called sclerotherapy is performed right in the vascular surgeon’s office and can vastly improve the appearance of spider veins, which are similar to varicose veins but smaller and not as painful. 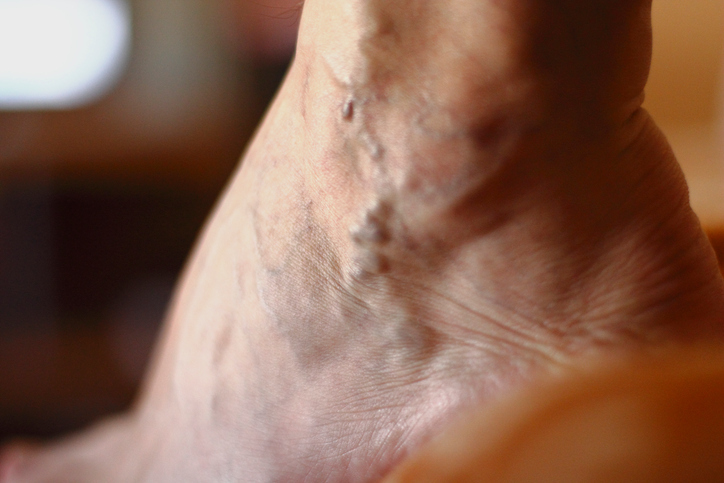 Sclerotherapy is a procedure in which a solution such as sodium chloride injects directly into the affected veins, Cleveland Clinic vascular surgeon George Anton, MD, explains. The solution irritates the lining of the vessel, causing it to swell and stick together. Patients may experience slight discomfort from the injections. Over time, the vessel turns into scar tissue that fades from view. The treatment is effective in treating spider veins up to 95 to 98 percent of the time when performed by a skilled surgeon, Dr. Anton says. Sclerotherapy has been an accepted procedure since the 1930s. Choose your vascular surgeon wisely. As shown in this video, sclerotherapy consists of very small injections — so small that you need a magnifying lens. The injections must be very precise due to the tiny size of the blood vessels. This is why the surgeon’s skill and patience are important for a successful outcome. It’s important to select a vascular surgeon who offers various types of therapy such as sclerotherapy, laser treatments and surgery so that the right treatment is matched to the right patient, Dr. Anton says. Sclerotherapy is a better option than laser treatments for spider veins, because it spreads through many vein branches. Lasers on the other hand just affect the pinpoint area of the vein only. You are able to treat larger areas of veins with sclerotherapy. After the procedure, there are no restrictions on activity, and patients can even drive themselves home or to work. Dr. Anton wraps the patients’ legs with compression bandages and instructs patients to keep them on for a couple of hours, then remove and apply ice for about five minutes. Typically patients will not need to wear compression stockings after sclerotherapy is performed. Spider veins usually respond to treatment in three to six weeks. Although veins that respond to treatment usually don’t reappear, new veins may appear over time— so patients sometimes receive repeat sclerotherapy treatments.